GSMArena team, 25 February 2017. Running benchmarks on a unit at MWC is sadly kind of frowned upon. 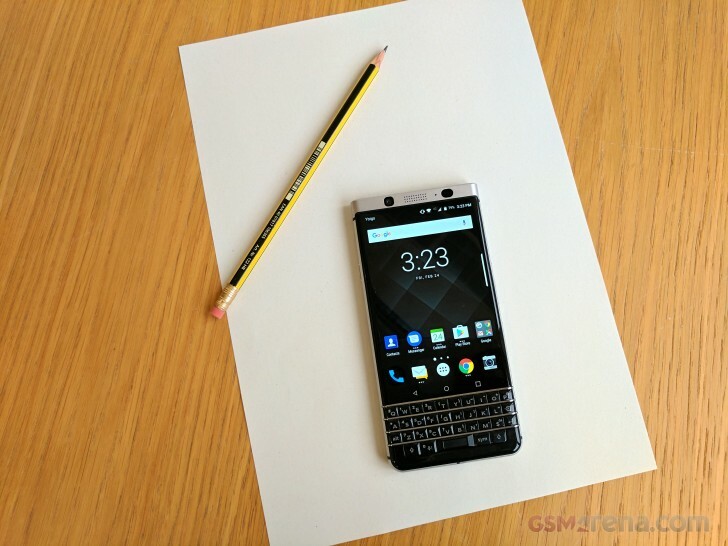 We have managed it on rare occasions in the past, but sadly, that wasn't the case with the KEYone. We will, however, mention that our first impression of the device, performance-wise, was very positive. Just like the Priv, the KEYone appears to run an almost stock version of Android, at least visually, that is. In this case, it was a cutting-edge 7.1.1 Nougat ROM. Even on the mid-range Snapdragon 625, it seemed to breeze through most every productivity task we managed to throw at it. Mind you, we saw similar behavior from devices like the Samsung Galaxy C7 and the Motorola Moto Z Play. The octa-core chipset is not only efficient but has already proven itself worthy more than enough, even for some power-user level tasks. Plus, 3GB of RAM are plenty to keep up with multitasking as well. Speaking of power users and advanced tasks, the KEYone is built for them and is intended to cater to business users straight out of the box. As you are probably aware, BlackBerry has always thrived in the business realm as a provider of secure, complete and integrated company communication and infrastructure solutions. 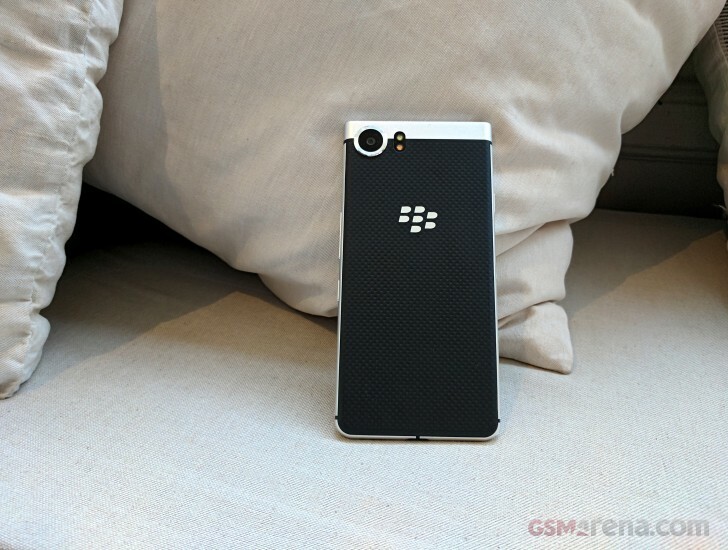 This is now the main focus of the Canadian company's business, and in term, the biggest part BlackBerry played in the creation of the KEYone, was providing it with its signature suite of secure business software. 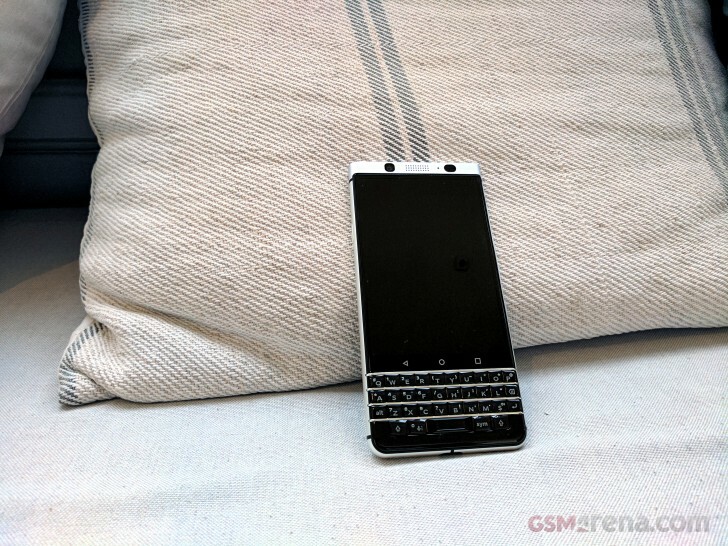 Although, there were certain hints of the KEYone even before the TCL acquisition, hinting at some BlackBerry hardware involvement as well, in this particular project. Chances are the Canadian giant will continue to focus on the software side of future project, leaving design and manufacturing to its Chinese partners. This is likely for the better since BlackBerry's software offerings and services continue to be a staple in the corporate world. All this makes the KEYone a properly secured and business communication-ready unit. For one, there is the patented DTEK security platform, integrated into the custom Android OS. It monitors and protects the OS and your applications at all times. It can give you prompt alerts when a given app tries to access your sensitive data, camera, microphone or other hardware. Everything is crammed into a single interface, which gives you a security rating, access to scans and actions to fix any potential problems. Beyond the security platform, BlackBerry has also pre-loaded its productivity suite. Apps from the standard Google pack, like Drive, Photos and Chrome are still leveraged for some tasks, and the KEYone also gets the standard AOSP security patches. 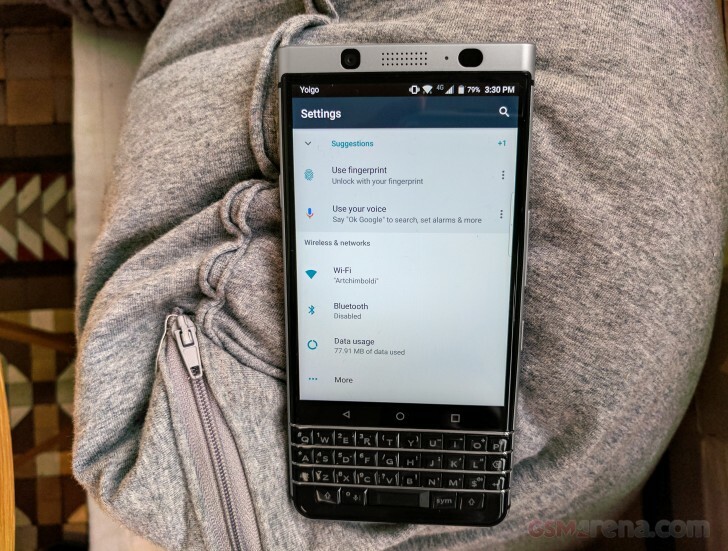 However, there is also the BlackBerry Hub, which aggregates all you email and social communications in a single location and keeps them safe. You get to enjoy other BB exclusive apps as well, like Contacts, Notes, Tasks and Device search - all well integrated and secure. Let's face it, with a €599 price tag, its hard to simply recommend the BlackBerry KEYone. It is and probably will remain the most pricey Snapdragon 625 device out there. However, whether you are on board and intend to simply buy it on principle, hope to eventually land one from your company, or don't plan on going anywhere near it whatsoever, that doesn't take away from its significance one bit. The BlackBerry KEYone is a milestone device, a long overdue sign that the once great BlackBerry mobile brand won't slip into obscurity, but will stand its ground and keep at its clear market niche and corporate pedigree instead. If you need or want a blackberry in 2017, the KEYone, while not the complete hardware package, definitely won't disappoint. And all things considered, we can now remain hopeful that it won't be the last of its kind.